The Quilting Ministry assembles Patchwork Quilts which are then distributed by Lutheran World Relief within the US and around the World. In addition to providing warmth, these Quilts are used as walls, rugs, etc. 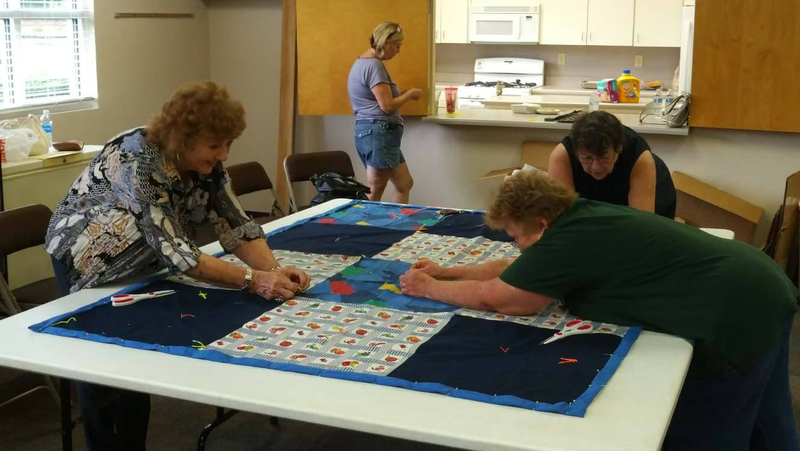 The Quilting Group meets the first Monday of every month. Linda Barrett and Janet Duckworth lead this very valuable Ministry. If you can Help Quilt, please join the group. Pray for the Quilting Ministry.